Check out this amazing drone video of an important medieval castle in northern Turkey, compliments of contributor enghasanali. Zilkale Castle is located in the Rize province, part of Turkey's Black Sea region. It's the next-to-easternmost of the country's provinces on the sea, and is only a short distance west of the border with Georgia. The castle is built in the 14th-15th centuries into the mountains which line much of the Turkish Black Sea coast, at an altitude of about 1.1k meters (around 3.7k ft.). 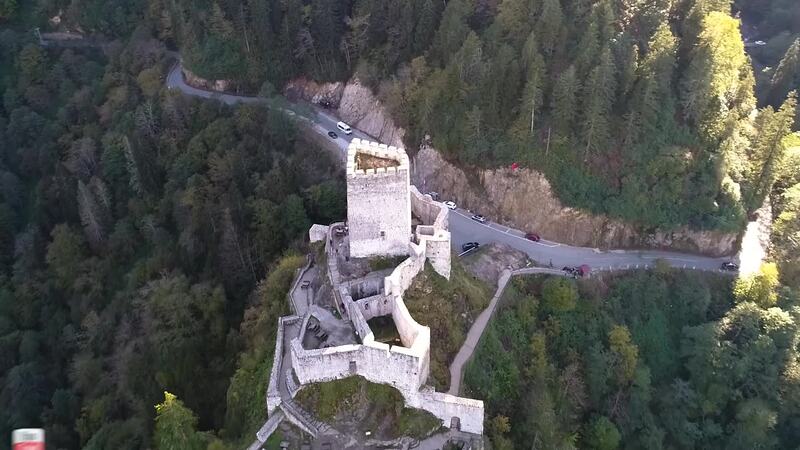 Description: Zilkale is a medieval castle located in the Fırtına Valley and is one of the most important historical structures in Çamlıhemşin district of Rize Province in the Black Sea Region of Turkey. The castle consists of outer walls, middle walls and inner castle. There are garrison quarters, and a possible chapel and head tower. It is believed that the castle was built in the 14th-15th century.The castle is built almost in top of the mountain, reflects the Othmaniya Empire power.